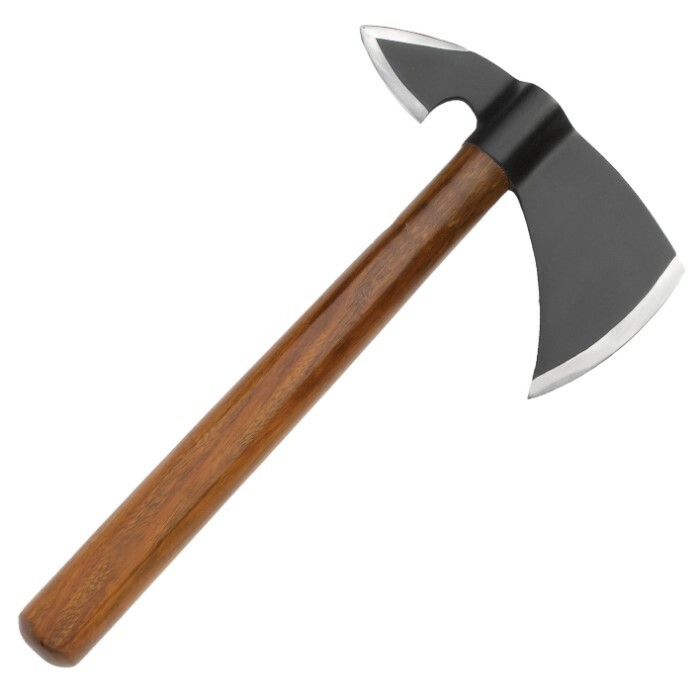 Heavy carbon steel axe head with a solid wood handle. 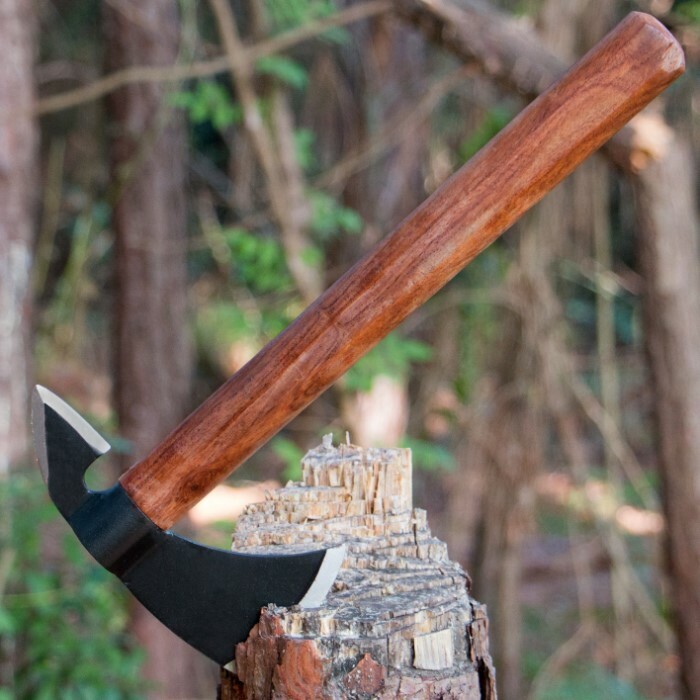 This throwing hatchet is well balanced with a large blade. The handle is smooth with a handsome finish. 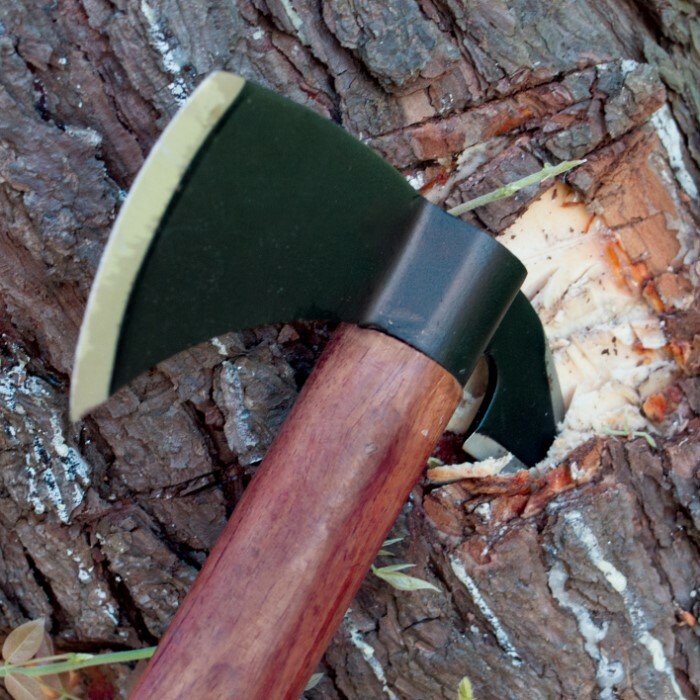 5-5/8" axe head; 12-7/8" overall length. Do not buy this! Right out of the box it looked like it had been through World War 2. The blade is more dull than Dwight's sense of humor. It is attached to the handle in a very poor method which allows the blade to wobble like the FF5 song. The handle is cheap wood that gave me splinters. It is useless. Oh and it's made in Pakistan. It is pretty much the opposite of the above description which is why I was adamant about leaving this review. I am returning it immediately. Waste of time and money, can't belive BudK is swindling people out of their hard earned money for this junk! First, everything in my mind screamed don't buy this but I went ahead and bought it. Second I just got it today and on my first throw the head broke clean of. For these two reasons I would suggest not buying it at all. Bought 5 for a boy scout event, on the first throw for each of them they broke, handles are not affixed to the heads at all. Quick fix was to drill a hole thru axe head and use long shank screws into the handles, but handles are not of good quality and this did not last more than 5 throws. Very unhappy with extremely poor quality. I have two. One of the handles was loose as soon as I got it. The other one broke after my first throw. I'm going to either make new ones, or ask the local wielding shop to make some heavy duty steel handles. Best bet is to probably get all steel ones, as they are a little more durable.